The list of annual Apple-focused conferences is drying up now that the plug has been pulled on Macworld/iWorld, but if you’re an Apple pro, MacTech is hosting its first ever MacTech Pro event series that will take place in nine locations across the U.S. The regional events hosted by MacTech Magazine will be geared to helping professional Apple techs, consultants and support staff. The event packs tons of sessions into a full day of learning about everything from iCloud Drive, productivity tools, security, tech tool boxes, and more. If you’ve ever toyed with the idea of running Windows on your Mac, you’ve probably asked yourself which is the right virtualization software for you: Parallels Desktop for Mac or VMware Fusion. Both have their vigorous defenders, but which one gives the best performance? The guys over at MacTech have put together an incredibly throrough series of benchmarking tests, comprised of over three thousand tests. The result? A 9,200 word piece they are calling a treatise that — at least in my view — conclusively crowns Parallels as the king of virtualization software. This week's MacSysAdmin 2012 Conference in Sweden kicks off a line of Mac/iOS conferences and training opportunities for IT professionals. While many Apple fans and IT professionals that support iOS devices in the workplace are eagerly awaiting tomorrow’s Apple announcement, a group of Apple in the enterprise experts are meeting at MacSysAdmin 2012 – a conference for European IT professionals tasked with managing Macs and iOS devices in business, education, and other workplace settings. The annual conference traditionally posts videos of its sessions online for free (as does the Penn State MacAdmins Conference that was held in the U.S. this spring). That isn’t the only major conference for Mac and iOS IT professionals, however. October brings two other major events (one of them free) and there are a number of excellent smaller events scheduled throughout the fall. Registration is available for this fall's MacTech Conference 2012. Registration is now open for MacTech Conference 2012. The annual conference, which is a great learning and networking experience for IT professionals and developers, will be held October 17 – 19 in Los Angeles. A pre-registration discount is available for anyone who registers by the end of August. The conference is sponsored by MacTech magazine and was launched in 2010, the year that Apple chose to focus its annual Worldwide Developers Conference solely on iOS. Since then, the conference has grown into a major event for IT professionals that need to support Macs and/or iOS devices in business, enterprise, and education environments. The conference has also become a serious event for Mac and iOS developers. Today London-based Amsys announced a new one day course for IT professionals charged with managing and securing iOS devices in their organizations. The course, iPhone / iPad: Security in the Enterprise, was designed by Amsys itself and not by Apple. Amsys is an Apple Authorized Training Center, meaning that it’s staffed by Apple certified trainers who use Apple’s official training curriculum to teach the company’s range of classes for IT professionals. With all the training resources that Apple provides to its certified trainers and training centers, you might be wondering why Amsys created this class on its own. The answer is simple – Apple hasn’t provided substantive training options for managing and securing iOS devices. 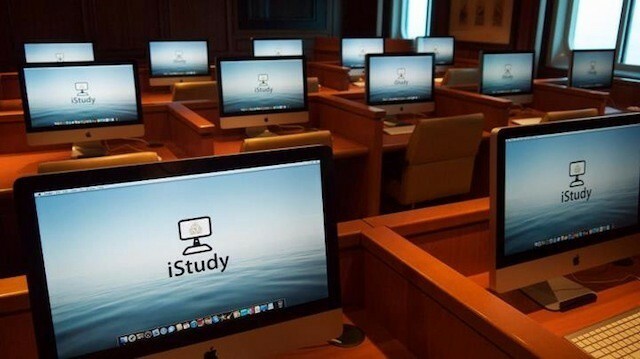 The dearth of official options is leading Amsys and other Apple training facilities scrambling to create their own content to fill the gap. This year’s WWDC track listing has a focus that seems evenly split between between OS X and iOS development. There’s also a fairly even amount of material for both experienced Mac and iOS developers as well as those new to developing for Apple’s platforms. One track that Apple appears to have axed from WWDC 2012, however, is the IT or enterprise technologies track. An IT or enterprise technology track has not been a guaranteed WWDC staple, but Apple has offered several times over the past decade. The track, which typically comprises the only non-developer events at WWDC, has always offered large enterprises and IT professionals things that they rarely get from Apple – a roadmap or sense of where Apple is heading technologically as well as insights from Apple engineers and other Apple-focsed IT professionals. Having held just one event in 2010, MacTech increased that to seven this year, with events across the U.S. Next year’s going to be even bigger, with 15 events spanning the country from February 16 when MacTech Boot Camp kicks off in Phoenix, Arizona, to December 5 when it wraps up the year in Miami, Florida. This year’s MacTech Conference will open with Guy Kawasaki in Los Angeles from November 2 to November 4. The event will feature sessions from more than 30 speakers, and if you register your place nice and early, you’ll save $200 off your booking fee.